for $325,000 with 3 bedrooms and 2 full baths. 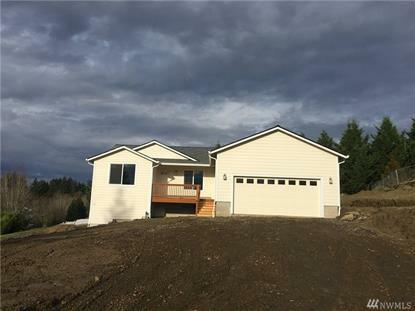 This 1,491 square foot home was built in 2018 on a lot size of 47916 Sqft. Brand new single level home on 1.1 acre mini farm. 3 bed, 2 bath open concept kitchen/dining/great room. Best layout for the square footage. Home feels much bigger than it is. 50 year roof, cement plank siding, high efficiency blown-in insulation, Milgard Windows, Moen faucets, vaulted ceilings. Large front/back decks, chicken coop and tool shed. Amazing access to I-5, just 20 mins to Legacy Hospital, 5 mins to Woodland & Kalama. Seller willing to pave driveway for additional $.